Bluehost Vs Hostgator – Which One Should You Use? Are you looking to start your own website or a blog but confused which one to choose Bluehost or Hostgator? There are too many things that are common in Hostgator to Bluehost which makes choosing one of them hard. I’m going to make your decision a lot easier. Because..I’ve great experience using both hosting companies and I can definitely guide you which one worth your penny and which one doesn’t. This is based on my own personal experience using both hosting companies. First, let me give share comparison of Bluehost Vs Hostgator. I’ll also share my experience and conclusion at the end of this post. Whether you are a webmaster or a beginner, it is important to have adequate knowledge about the essential features provided by a company. Before you pay and rely on a hosting service, these differences in major features will strengthen your ultimate decision. That’s how I decided. In this elaborated article, every feature is clearly mentioned to provide an ease and help you decide whether to choose Bluehost or Hostgator. Sit back and read it patiently. So here’s the detail comparison between Bluehost and Hostgator. Let’s jump in! If it is about the utter performance and reliability of web hosting companies, then both maintain equality. Performance is the only reason that has kept these companies at the top and in the competition. The use of incredible technologies has made Bluehost and Hostgator to stand out among other web hosting services. It has spent a huge amount of 20 Billion USD for the data centers. The company has developed three dedicated data centers in Utah, equipped with latest technologies. It also uses CPU Segregation technology to control CPU smartly and prevent the website from negative users. Another point is the solid infrastructure that provides brilliant performance. They have built data centers in UT, Provo, and Houston. Every data center is well-equipped. The company is in partnership with famous SoftLayer to control data centers and all other functions. Hostgator also invests big amounts in brand new technologies in improving performance. If you are planning to host your domain, it is important to consider the reliability of the provider. Page loading always influences the user experience. If the web page loads faster, then most likely visitors will stay on your page for a longer time. And, if web page loading is slow, then it definitely upsets the users. In this specific feature, both the companies devote to better performance. In order to sustain your website in the market, it is compulsory to value the network uptime. Most important, both the companies offer high website uptime of 99.99%. But, if it’s true or not? Talking about the responsive time, both the companies approximate to 320ms which are faster and appreciating. With my personal experience, I can tell you that Bluehost is a bit faster than Hostgator. I faced several downtime when I hosted my site on Hostgator. However, the reasons were unidentified but, it was quite unsatisfactory. Website downtime definitely brings bad user experience for the visitors. Just like uptime, website speed is also an essential feature to note down. 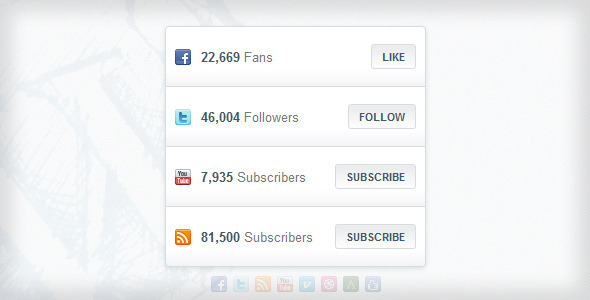 The faster the speed of the website, there are more chances that it will gain maximum followers. Both Bluehost and HostGator provide an excellent responsive time to the users. However, there are several tools by which you can identify the response time of your website. Overall, both the hosting companies are worthy to spend money in view of uptime and speed. When it comes to pricing and hosting packages, both the companies offer three great plans. 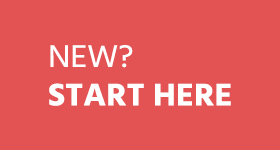 From beginner to experts, anyone can opt for a starter, Plus or business pro. Whether you are a professional webmaster or a newbie, everyone considers the affordable web hosting package. That’s right. If you’re a beginner, you would desire for a plan that is reliable and cost-effective. However, experts want impressive plans for the better hosting. In both the cases, Bluehost and Hostgator present three main packages with slight differences. As a decision maker, you should consider every little detail and go for the one, which suits you better. Don’t worry, I would recommend my personal choice in the conclusion part according to the features. Let’s take a closer look at Bluehost pricing. Note: When you signup make sure you uncheck all the other additional charges for Site Backup, Domain Privacy protection, site lock security etc. It will save your total amount. Now here us the detailed pricing package offered by HostGator. However, both Bluehost or Hostgator have dedicated, reseller and dedicated hosting. Even, there are other multiple free services offered by the companies with each hosting package. Not everyone is a technical person and you really can’t fix everything yourself. It’s true that people only trust those websites that are prompt and offer excellent technical support. In the matter of technical assistance, both the companies are fairly fast and supportive. If you get stuck in any process, 24/7 available online technical teams of Bluehost and Hostgator will solve your queries without a glitch. From email support to phone call and online instant chat, the hosting services are extremely fast. I face many issues with my blog. In those circumstances, I take no long to contact the technical support team for the problem. There are no automated machines to help you but real persons ask your problem and assure to bring quick solutions. But, if I compare Bluehost Vs Hostgator support quality and response time I would say Bluehost is the winner. My client recently contacted to the technical team of Bluehost and they quickly respond. That’s too impressive. Please keep in mind that sometimes they experience high number of chat support requests so it may take longer to respond to your support issue. As a newbie, this particular part plays a significant role. A friendly user interface attracts new as well experts. Both the hosting providers offer standard cPanel. 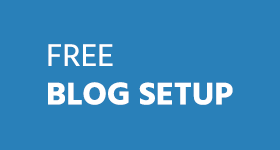 The control panel of Bluehost and Hostgator provide a quick 1-click installer for multiple scripts. It can a daunting task to manage a website by your own, along with domains, email setup and hosting account. With the option of icon-based interface, it has become quite easier to install any popular script. 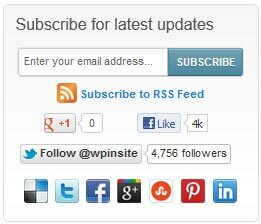 A newbie can install WordPress with just 1-click and it is super fast and incredibly easy. To your knowledge, user-friendly control panel like cPanel is easy to use. I personally suggest you to use these hosting providers because of friendly control panel that allows you to learn installation process without a mishap. If I compare the control of both hosting companies, I would say Bluehost is little more customized. Your hosting cpanel, domain management, support center and billing everything is managed in one dashboard. Whereas, HostGator provides separate cPanel interface and portal for billing and technical support. After detailed comparison between the top most web hosting services, I’ve ended up with a solid conclusion. Undoubtedly, Bluehost and Hostgator services are reputable hosting companies that have developed utter trust and reliability from their users. Both the rival companies are in the race for a long time and each one is giving tough competition to the other one. With my experience and personal observation, I would suggest you go for Bluehost. When it comes to exceptional services and quality, Bluehost wins the race. Hostgator still needs to improve the performance and customer support. It somehow disperses the users to other hosting services. 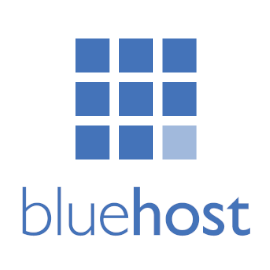 I have received enormous good reviews about Bluehost as compared to HostGator. If you only have to choose between Bluehost vs Hostgator, I would recommend you to go with Bluehost. If you are looking for even better web hosting as compared to Hostgator or Bluehost. My recommendation would be InMotion hosting. This blog is currently hosted on InMotion and the performance of this host is excellent. The customer support is very responsive. I don’t have to wait for more than 5 minutes to get connected with their live support team. Use this special link to save 38% off and get a FREE domain name. Hey Ammar! How are you. One question is really hurting me a lot. I am not sure this is the right place to ask but this is really disturbing me. Can you please tell me that your special link for bluehost redirected me to WordPress page. How did you do it?? I mean which URL you used for your affiliate link? You just sent your traffic there or there is a tracking code? Secondly how you can setup it in Bluehost account. I also have a blog and I want to direct my traffic to wordpress page of bluehost. If you could help me. I will be thankful. Very good question. There is option in your affilaite account to redirect people to specific link. here is how my link work. You can replace allbloggingtips with your username, it should work now. Or you can also email bluehost affiliate team to solve your issue. Let me know if it didnt worked. i have used godaddy for 1 year in 2010 i had 3 websites on godaddy my experience was very bad my website use to get hack within few days than i purchased from bluehost i liked bluehost very much only 1 plan no confusion as ammar said suits all purpose and website on their server not go down if it goes offline you just hit refresh and it will back i have used hostgator also their support is also gud their service is also good but i personally recommend bluehost and i have transferred my domain from godaddy to bluehost it took around 5 min to transfer domain from godaddy to bluehost if u have all information required to transfer domain bluehost have great support they always solve your problems. so i m just bluehost fan so recommend bluehost over any hosting provider and wordpress also recommend bluehost officially . I am using Bluehost since 1-2 years and found it very good. Do not have much idea about Hostgator. But I really like Bluehost and their customer service and cheap hosting also. Nice review. Both are great hosting providers. I like the hostgator. They have some great plans and good customer support. BTW. Nice blog with great articles. To be honest with you I have used the both hosting providers and when It comes to compare Bluehost with Hostgator, my vote goes for Bluehost because of the awesome support and extra features they provide, Plus the best thing about Bluehost is that they value their customers which is what makes me love them. 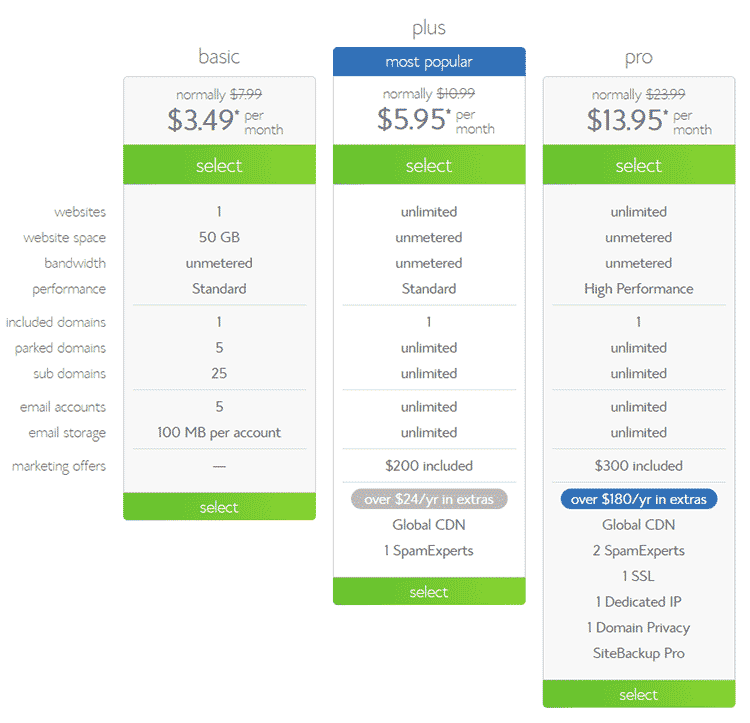 I will go with hostgator and plz can you tell me which is The Best CDN? i budget is not So High..
will Hostgator allow this Traffic ? or i have to use CDN? also i am confused What does a CDN basically do? is it for security or to Save bandwidth of hosting servers?? I’m glad to become a part of this post,If i comparison with bluehosting Vs Hostgator,then hostgator is always on the top because of providing the support,features and powerful hosting share. For me, Hostgator will be always on top! I just love their active support and powerful shared hosting systems. I have both Bluehost and Hostgator, but Bluehost always act up on a very small traffic spikes and computer usage. While the Hostgator works very smoothly and addopts wide range of compatibility. I don’t think so that a domain registeration is worth $20! Who saying you to purchase a domain worth $20, when you can easily avail it for around $6 – $10. There are many reasons that I never go with same company for both my domains and web-hosting. Smart people, always use different companies to avail these services :) BTW, the comparison is pretty cool. I have been using Hostgator for a year now and I really liked their chat, but we had some issues with them taking our site down recently, which is why I think we might give Bluehost a try. Thanks for the great comparison! Well choosing a right hosting is very important for a good blog health and good hosting results in trending and increasing search results.. Although most of the bloggers will opt for HostGator and its affordable to. Great review dude. I must say you style of writing is great. Well till now i am using Hostgator but i think hostgator service getting deteriorated day by day, today itself my website got down several times. If this thing happens continuously , then i have to switch to bluehost. Your post is a great help for me. Thanks or the Comparison. Ammar..
Hope the 25% of Coupon shared on Allblogging tips will be active …as it will take a Week to buy the hosting.. I am suing HostGator from last 2 years and according to my personnel experience Hostgator is the best even i always suggest for HostGator only.. I personally use HostGator. From my experience it is much faster than BlueHost. They are both great companies, but I have had downtime at BlueHost before. I have never had any downtime at all at HostGator. That a long with the speed is enough for me to stay with HostGator for a while to come. 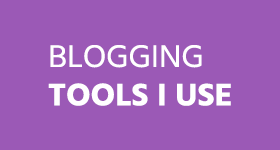 Are you currently using Hostgator for your blog?? I will go with BlueHost, when paypal come in my country. I also shifted my blog to Hostgator , and also won a zyma hosting acc. from ABT , thanks for that . yes both are nice hosting provider but i recommended to using Bluehost hosting because its server is much more faster than other servers. Both Hosting companies are good its your choice which to select. Thanks for this straightforward comparison of two of the most well-known shared hosting companies. I’ve had good experiences (designing websites for others) with both hosts. I think going with either company is honestly a safe bet. I’ve also had good experiences with InMotion hosting, though that option is slightly pricier. I do not have that much of experience but I am using Hostgator and have gained lots of information from this post . I would recommend hostgator because its baby plan is profitable and very easy to afford and newebies can invest in that . But if you have a budget then I would recommend Blue host because they are providing a domain free too. I have no Bluehost web hosting account. My blogging is running on Hostgator. I am so happy with Hostgator. But my first web hosting company is GoDaddy. I am not recommended Godaddy for anyone because I have bad experience with GoDaddy. Nice review of these two giants. You went ahead of me in the review. I’m glad you liked it. By the way, which host are you using? Resizable: Responsive WordPress Theme : Get 35% Off ! How to Start as a Freelance Writer & Is It Worth?